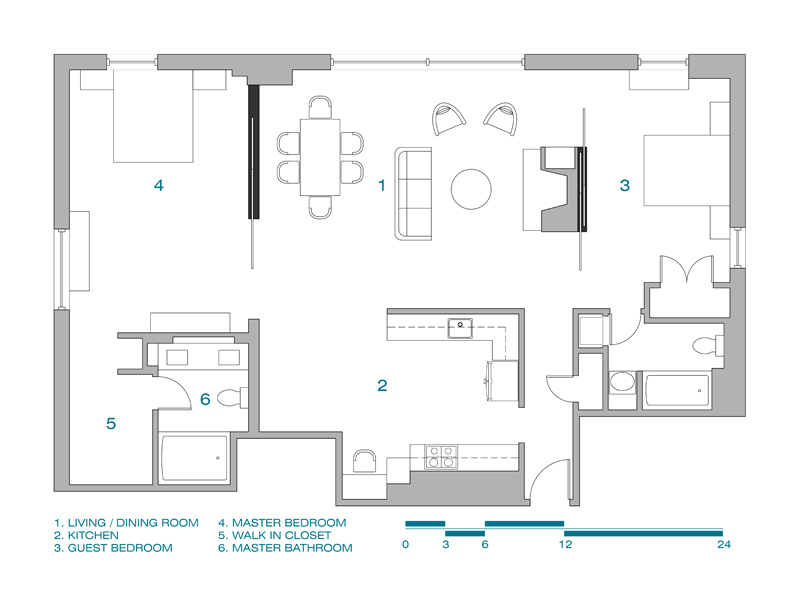 The configuration of the existing two bedroom apartment was a cluster of rooms. 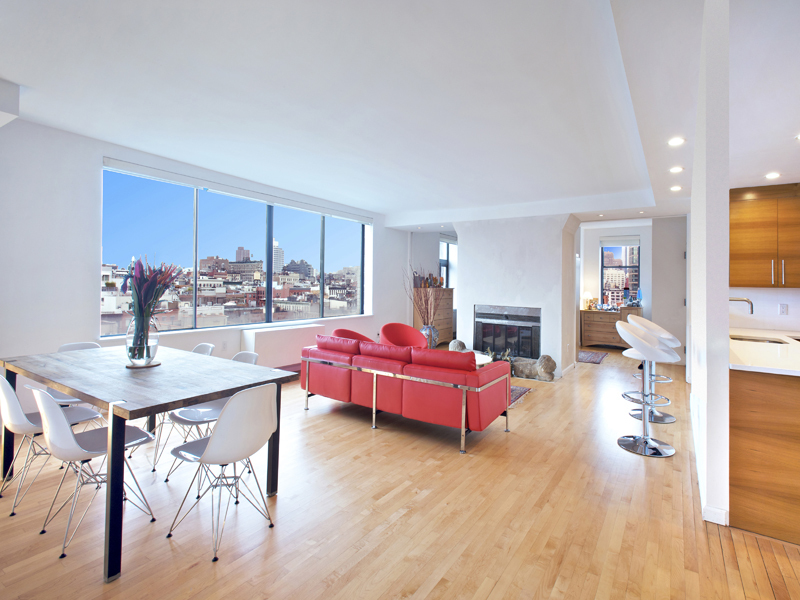 The layout and lack of windows restricted northern sunlight and views of Manhattan. 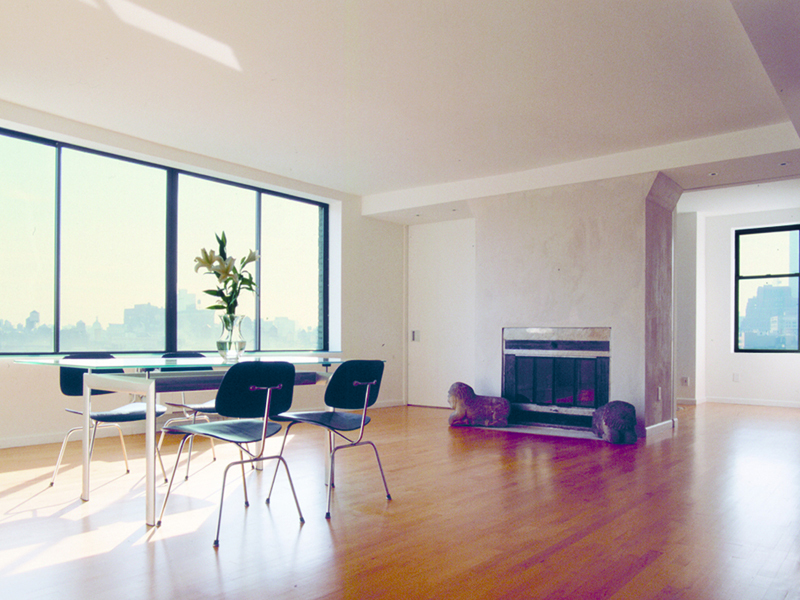 In alignment with the existing window facing south, a large window was installed on the north end of the apartment. 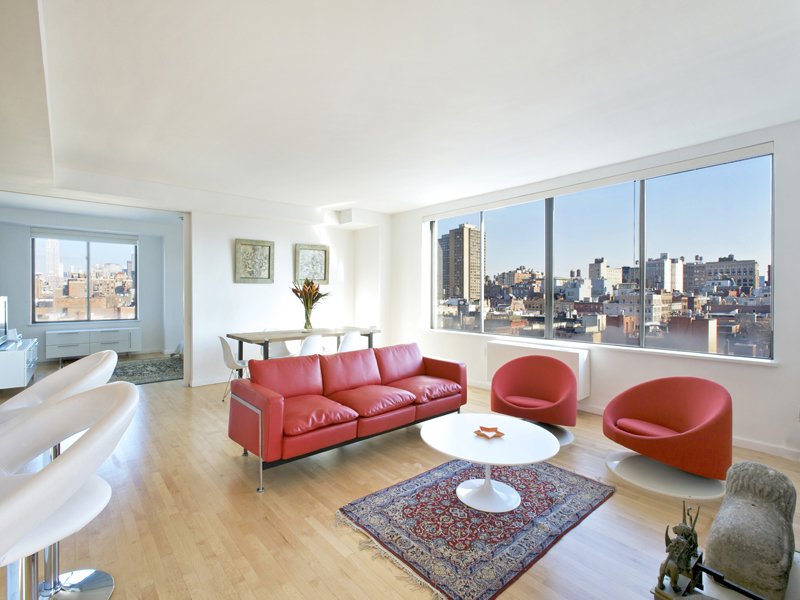 Three new rolling partitions were added in place of walls with doors; tucked into pocket walls, these partitions enable a multi-functional space. 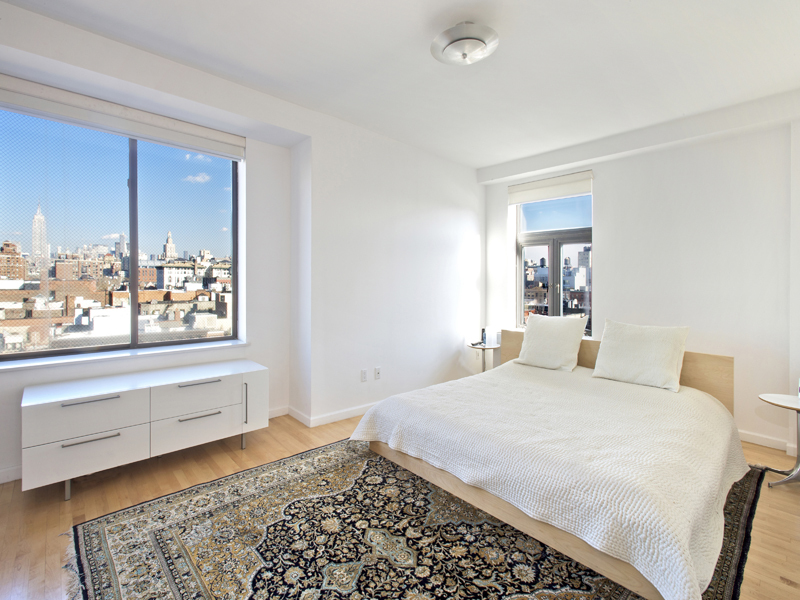 Natural light, privacy, and the flow of the unit are flexible.